Services | Prince Custom Homes, Inc.
Come see some of our recent projects and let us show you what we have done and can do for you. We can help you select the best property, walk you through the design process, and oversee every aspect of the building process. We will ensure compliance with applicable laws and regulations, and make sure your property visions are achieved. We also serve as a hands on guide for both professionals and homeowners. We guarantee a guided open line of communication and professional building experience. 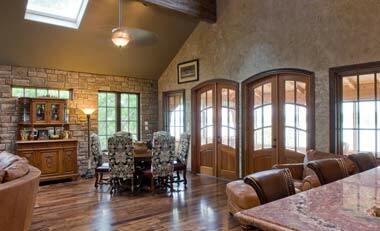 We can help you with all design aspects of your custom home. We can run with the ideas you already have, change one of our many custom floor plans to suit you or design new from the ground up. We offer several financing options on many of our lots and can help you obtain a construction loan and relationship through one of our professional local lenders. We keep a close eye on the local real estate market, and maintain a good inventory of Quality Lakefront properties. We have quality Lakefront – LakeView lots and acreage in our inventory available for sale now. Family owned and operated real estate broker can find you exactly what your looking for. Whether it’s company owned property inventory or found on our local MLS system we will search to fill your wish list. Set up an appointment now to see local lakefront and lakeview properties.